Dermosoft 1388 from Dr Straetmanns is a multi-functional ingredient with anti-microbial properties. It is Ecocert approved and, as it is not classified as a preservative, allows the manufacturer to state preservative free claims for their finished products. The product’s active principle is a blend of compounds found in many plants in nature. In combination with plant derived glycerol contained in this skin friendly mixture a moisturizing effect can be created. The delicate scent of Dermosoft 1388 will help to mask undesired odours of raw materials but will usually not interfere with other fragrance. The gently acidic ingredients will improve the natural acidic environment of the skin. 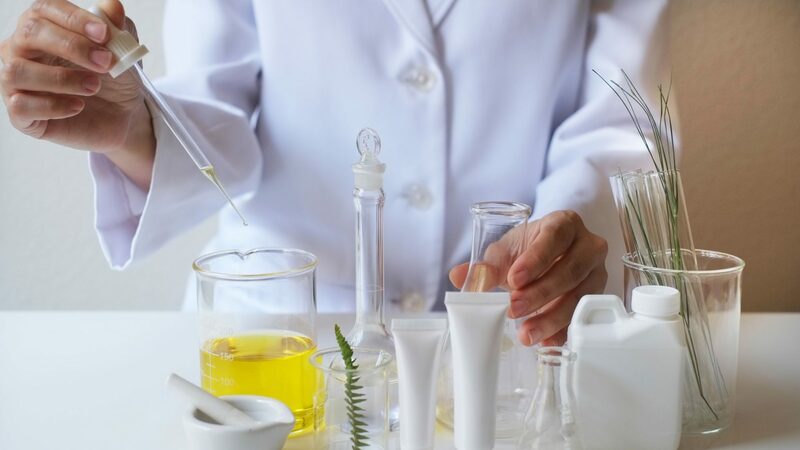 And finally, the outstanding antimicrobial activity of Dermosoft 1388 can convert most cosmetic formulations in self preserving products – with no further need for traditional preservatives. Dermosoft 1388 is liquid and clearly water soluble and can be employed easily in surfactant based rinse off concepts, emulsions (O/W and W/O) as well as in hydroalcoholic products. To avoid re-crystallisation and maximum efficacy please regard the recommended use level and the pH requirements. pH of finished products – 4.5 to 5 (use citric acid to adjust the pH of your formulation). Be careful not to go below pH 4.5. Indeed our recommendation is to stay as close as possible to pH 5.0. Note: Although effective against bacteria and mold, 1388 is not particularly strong against yeasts, We recommend the addition of 0.3% Potassium Sorbate to offer yeast protection. If wanting a preservative free claim for your products GMCY at 0.3% also provides protection against yeasts. If using Potassium Sorbate or GMCY the dosage of 1388 can be reduced to 3%.